Draelon Burns put the fire into the Kings just four minutes before the end of the game for overcome Happinets’ 10-point lean and finally winning 91-83 on overtime. The Ryukyu Golden Kings finally put a mark in the win column of the young basketball season, struggling but succeeding in outlasting the Akita Northern Happinets in Tokyo. Celebrating the 10th anniversary of the Basketball Japan League’s creation, the Golden Kings took on their opponent from last year’s BJL championship game in a rough-and-tumble match that saw the lead see-saw. 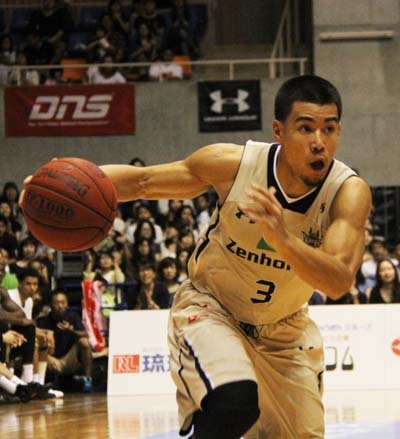 At halftime the game was tied, but the Happinets were tough in the third quarter, racking up a 10-point lead that had Okinawa head coach Tsutomu Isa fretting. And then the rally began, with a four-minute spurt in the final stanza to force the game to overtime. 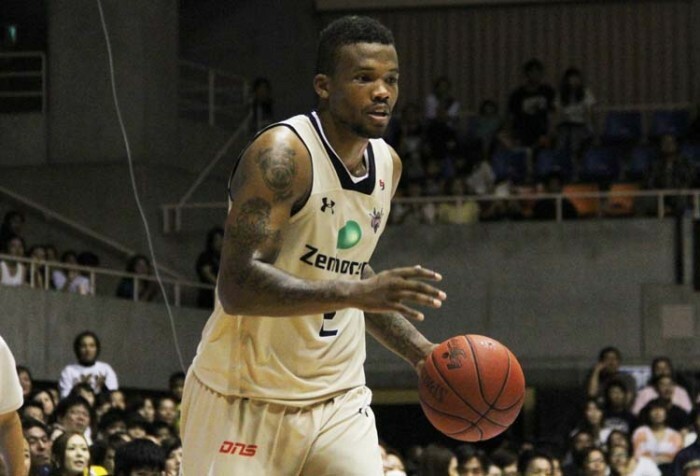 On fire, the Okinawa squad led by Draelon Burns outscored Akita 12-4 to win the game at Ota City General Gymnasium in Tokyo 91-83. Narito Namizato his his part by closing the gap at the end of the game with his three-pointers. The game went on the Happinets’ pace from the beginning, and the Kings could not keep up with the stream of the game. The Kings caught up and filled the 10-point-gap in four minutes from the end of the 4th quarter. Narito Namisato and Ryuichi Kishimoto closed the gap with consecutive three-point shots, and Burns let the Happinets commit a foul, letting the Kings catch up with a free throw in the game’s final minute. Moving to overtime, the Kings turned the game around with three pointers by Draelon Burns, and a lay-up by Namisato to pull away from the Happinets. Burns was the game’s high scorer with 27 points. The newest member of the Golden Kings, Hiromasa Omiya, showed his skills on a strong dunk shot. A total of 3,960 people were in the grandstands for the game..
“There is a task ahead to improve the Kings’ teamwork, says Kings’ Head Coach Tsutomu Isa. “It is good we won, but what went on during the game was not good at all,” he said. “Defense one-to-one seemed vulnerable, and we would like to try to overcome all this.” He says laying out the assignment of improving the team’s defense is his priority this week.